Messerschmitt’s Bf 109F “Friederich” series is arguably the ultimate refinement of the 109 as an air superiority fighter. Featuring the more powerful Daimler-Benz DB 601E and the ultimate MG 151/20 20mm cannon, the F-4 version was the pinnacle of Friederich’s development. Debates continue about the accuracy of his score, with research and counter-research trumping each other, but it is undeniable that the Marseille-Bf 109F combination is transcendent. The young star died not from enemy fire, but from bailing out of his new Bf 109G when it was crippled by an engine malfunction. The kit is forty-eight pieces: a vinyl prop hub, two clear blemish-free clear parts, and forty-five are neatly molded in pale tan plastic with fine engraved panel lines. Horror or horrors, the fabric control surfaces are some throwbacks to the 1970's, molded with no detail except raised panel lines! Except for the rudder, the control surfaces are not separate. The pilot is well detailed. The cockpit has well done basic detail, with minimal sidewall detail. But the seat has an individual cushion (odd priority)! It does not have any strap / belt detail molded on, nor are they provided as decals. A decal provides the detailing for the multilevel instrument panel. FineMolds does issue their own line of photo-etch sets. To see the set for this model, see ADDITIONAL IMAGES URL below. The landing gear wells are molded to prevent seeing into the wings. The wheel wells have light relief detail. The struts and wheels are nicely detailed though I suspect the gear will be frail. Two propeller choices are supplied. The Daimler-Benz DB 601E is integrally molded into the fuselage halves. It can be displayed with the cowling open. Test fitting indicates this will be a trouble free build. There is a small amount of flash around the pilot’s boots, and the tips of the machine guns. I see no ejector marks or blemishes that should be seen after assembly. 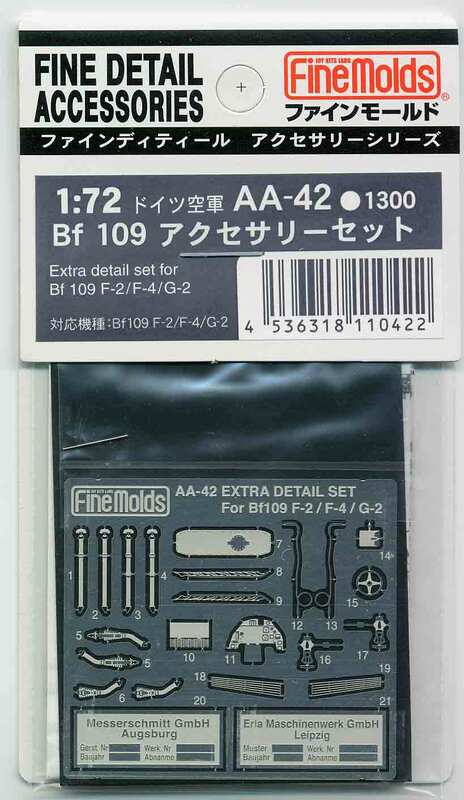 FineMold’s instructions are printed in English and Japanese with part names and colors clearly indicated. A color reference table for Tamiya, Humbrol and Gunze Sangyo Mr Color is provided in Japanese, English and German. FineMolds provides two sheets. One is a generic Bf 109F set. The other is specific to Marseille’s F-4's. 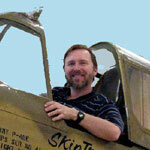 You can build four versions of his aircraft, “Yellow 14". Interestingly, two of the Balkencruz are printed with tears in them, to simulate damage unique to one of his mounts. This model is considered to be the best 1/72 kit of the Bf 109F available. I look forward to building it. Highs: Sharp molding. Well detailed pilot. Well done basic cockpit. Extensive decals. Lows: Raised detail on the ailerons and elevators!? Single piece canopy. Single piece canopy may be not so good, but I really don't understand what's wrong with "Raised detail on the ailerons and elevators"?